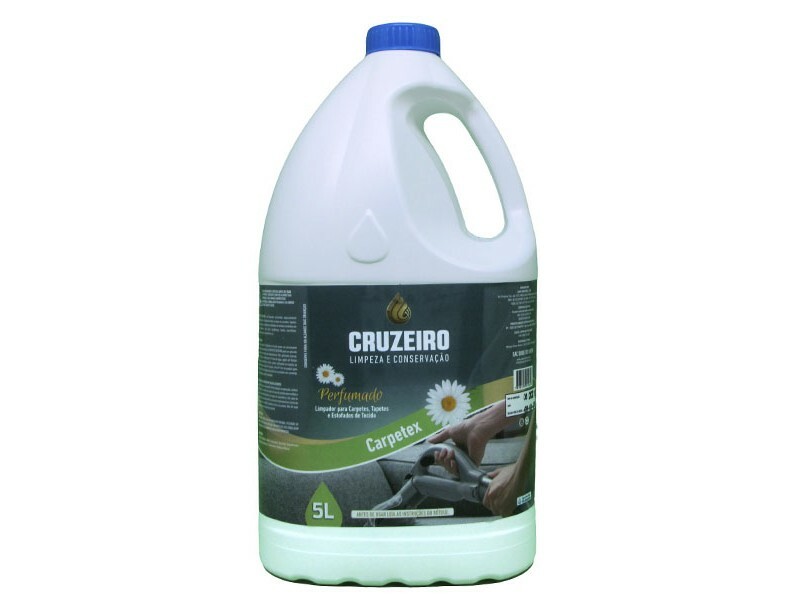 The CARPET CLEANER CARPETEX CRUZEIRO is a perfumed cleaner to all types of carpets, with natural fibers or synthetics and upholstered fabrics with are in any ambient, like hotels, officies, stores and at home. The cartpets and upholstered fabrics should be previously clean with vacuum cleaner. The CARPET CLEANER CARPETEX CRUZEIRO should be applyed with a machine or manually. To manually application you have to dilute 1 liter of the product for 10 liters of water, shake the content untill it forms an foam, and after that please apply it on the surface using a sponge or a brush. To apply it with a machine, ditule 1 liter of the product for 15 - 25 liters of water, enough to clean the dirty on the carpet. After the drying, please pass the vacuum cleaner.